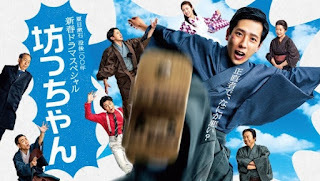 Cast: Ninomiya Kazunari, Matsushita Nao, Furuta Arata, Yashima Norito, Mitsuhiro Oikawa and Yamamoto Koji. Sorry for the short summary, but this is one special that would ruin the entire thing if I spoiled too much. It’s been a while since I’ve seen Ninomiya in a drama – Yowakutemo Katemasu (2014) I think was the last, so having him do a TV SP is quite refreshing. But generally, any drama or movie he does is good, so I never hesitate to watch his dramas or movies. This special is good as it doesn’t focus on disharmony of an institution but the chaos too much harmony can bring. I love that the setting is in the early 19’s, which gives it and form of discipline yet shows that children will always be children no matter the year. Nino does a great job, and so does the rest of the cast. To sum up, the special is interesting and fun to watch, so I would recommend it to history and school drama fans.